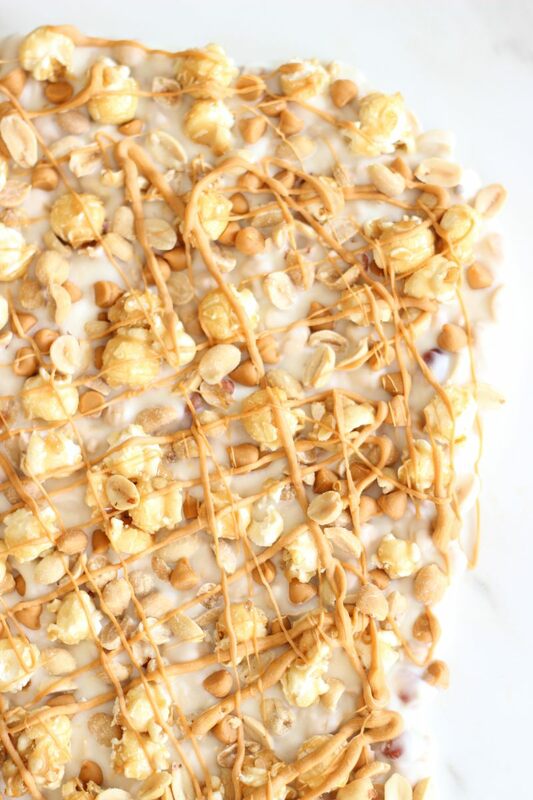 This Salted Peanut Butterscotch Caramel Corn White Chocolate Bark is sweet, salty, and super quick to make! It’s got a little bit of everything, and it’s ready in minutes! This Salted Peanut Butterscotch Caramel Corn White Chocolate Bark is must-try! 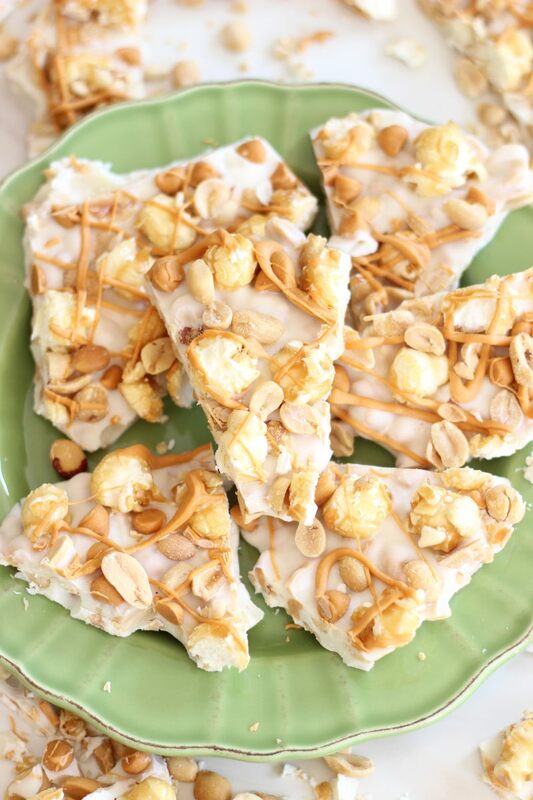 I do a lot of my baking in bulk — sometimes six or seven recipes in a day, and usually on Sundays. 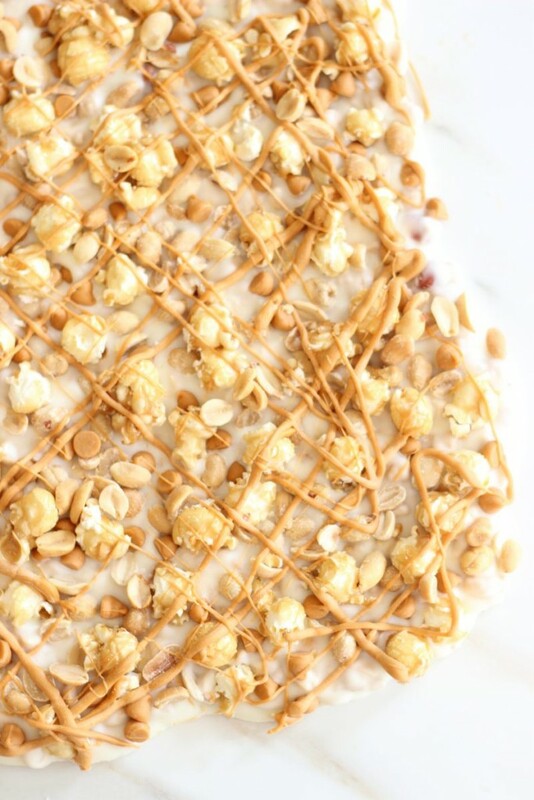 Sometimes I’m up as early as 6 a.m. on Sundays to start baking so that I have desserts completed for when the good sunlight hits in the late morning. First, you should know that I’m not a morning person. A 6 a.m. start time is a very big deal to me. Sundays are often the day of the week that I get up the earliest, believe it or not. I can be in the kitchen for up to 10 hours on Sundays, and even after I’m done with baking and shooting pictures, I sit down to edit pictures or enter recipes into new posts. Sundays are sometimes my busiest and most exhausting days, but they are some of the most rewarding, and I look forward to every weekend for the productive day that I know I’ll have on Sunday. However… there is honestly a lot of mental preparation leading up to Sundays. I know I’m going into it with a jam-packed agenda. I think about it all day Saturday, and I start gearing up for what I know is going to be incredibly busy and fun, but also quite grueling! Interestingly, I also have to do this for leg days at the gym. I have to start mentally preparing for those tough workouts the day before! One trick I have for getting an even more satisfying and productive day out of my Sunday baking marathons is to kick off the day with a quick success. A recipe that I know is going to be fast and simple, and will work. It just seems to make the rest of the day better. 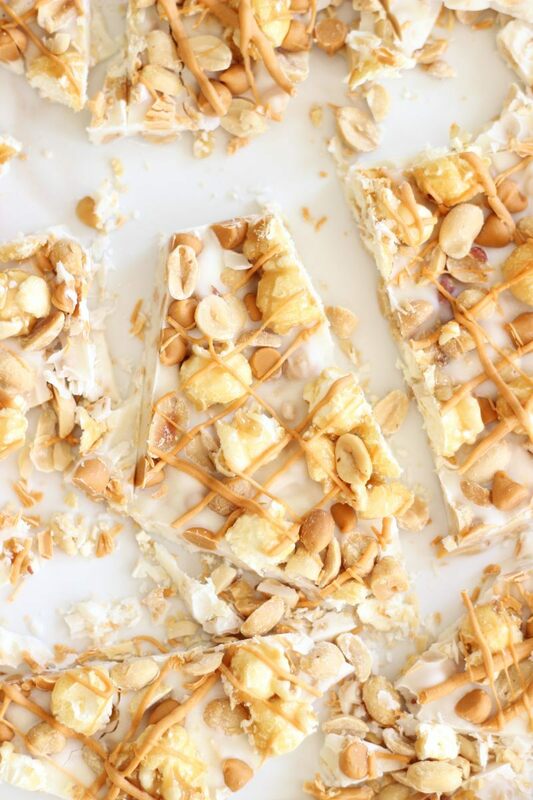 That’s how this Salted Peanut Butterscotch Caramel Corn White Chocolate Bark was born. I turn to a few different options for my quick success recipes. 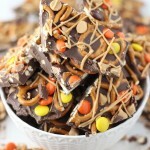 For example, I might make a variation of my 5-minute fudge recipe. I know it’ll be a quick win. And wins they are. 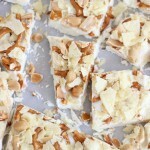 This Lemon Cream Pie Fudge is awesome, and I also adore this 5-Minute Pina Colada Fudge. It’s amazing. 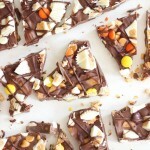 Chocolate bark has become one of my go-to quick wins too. It’s basically impossibly to mess up. 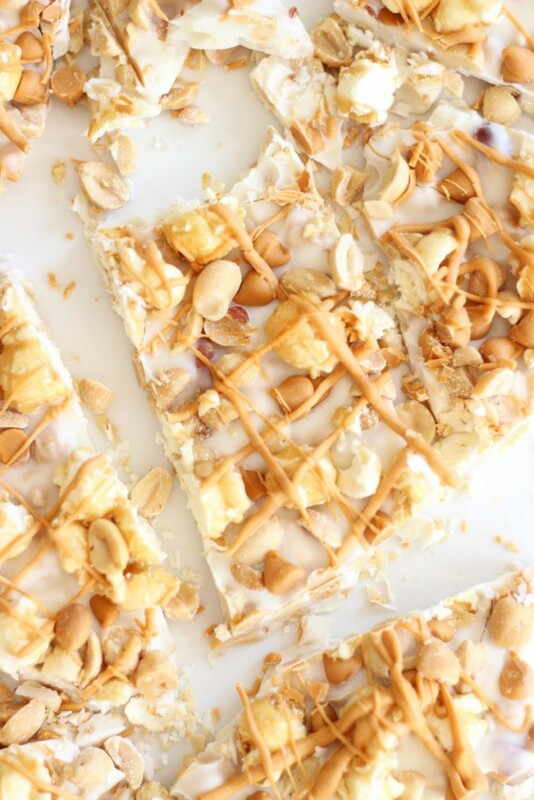 It’s just a slab of melted chocolate with whatever variety of candies or nuts you want to sprinkle on top of it. The chocolate sets in minutes, and then you’re eating an unbelievable dessert! Total quick win. 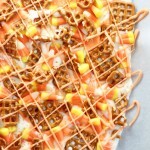 So many good ones to choose from like this Chocolate Peanut Butter Pretzel Bark, this Candy Corn Bark, or this Mint Chocolate Bark. I have others too! I say this every time I make a new chocolate bark, but I think this Salted Peanut Butterscotch Caramel Corn White Chocolate Bark is my favorite yet. It just has a little bit of everything, and it all goes together so well! 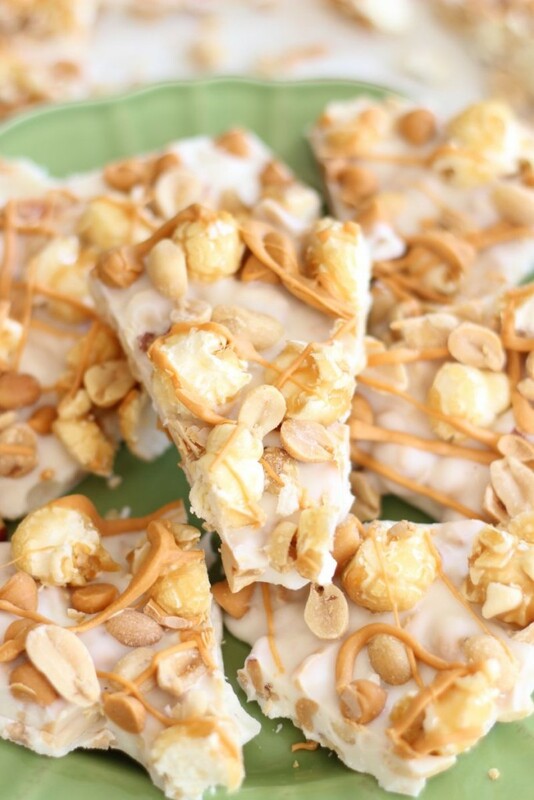 I folded salted peanuts and toffee chips into melted white chocolate, sprinkled it with more salted peanuts, some butterscotch chips, and caramel corn (yes, caramel corn! 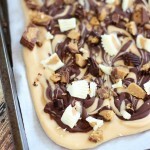 ), and then drizzled it with melted butterscotch chips. Between the toffee, butterscotch, and caramel corn, this has almost every kind of sugary substance in it, and the salted peanuts give it that perfect sweet & salty flair. 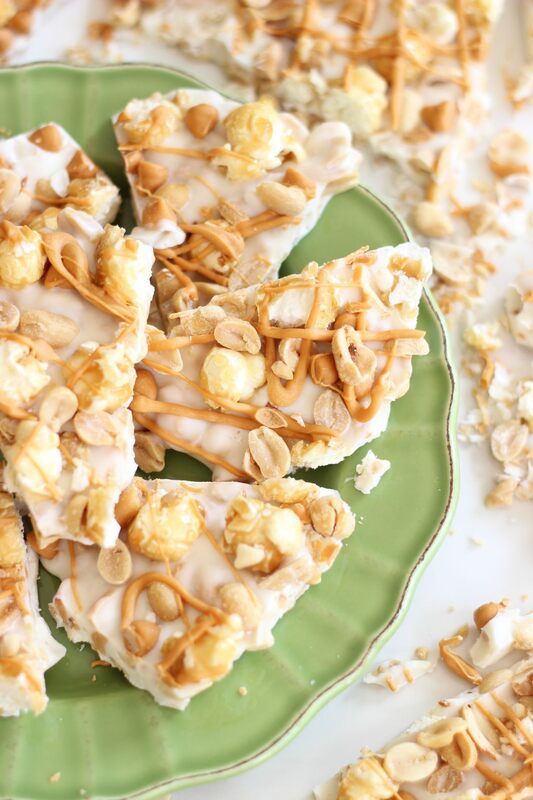 If you’re anything like me, the caramel corn will be your favorite part. 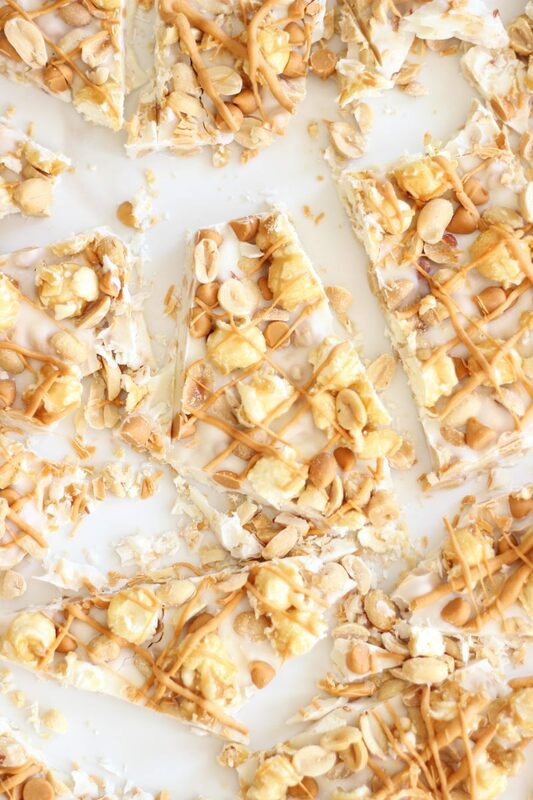 Who doesn’t wanted sugar-coated, crunchy popcorn in their chocolate bark?? And, you can make this Salted Peanut Butterscotch Caramel Corn White Chocolate Bark in minutes! It’s amazing! I love the caramel corn. So good. oh my this looks good! Thanks for sharing at the “What’s for Dinner” link up! 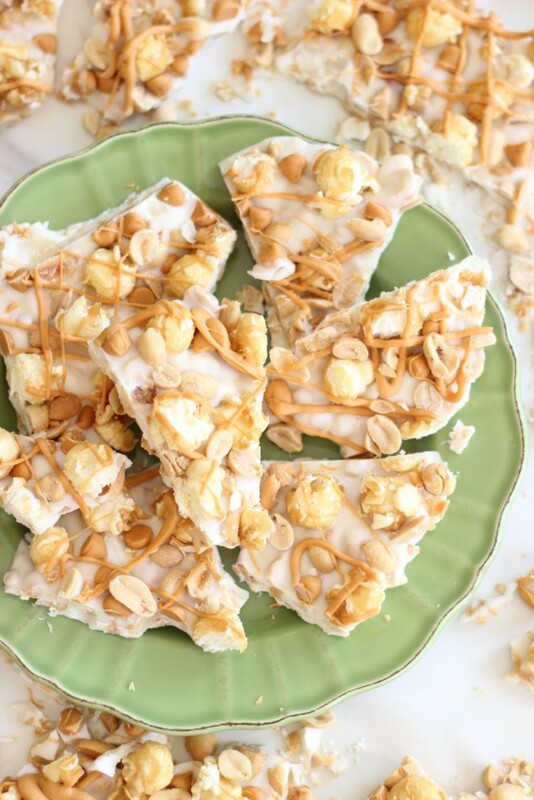 Oh, I never would have thought to put caramel corn in bark like this. Of course it never lasts long enough around my house to do anything with it. Thanks for sharing on Creative K. Kids Tasty Tuesdays. I hope you will join us again. Oh, it’s so good. SO good!! This has all my favorites. Thanks for sharing with us at Throwback Thursday. Pinned and shared! Oh this looks & sounds yummy! Thanks for sharing with us at the Inspiration Spotlight party. Pinned & shared. See you again soon. This looks crazy good! Sharing and pinning – Thanks for bringing this by Throwback Thursday last week – Sorry I didn’t get a chance to comment earlier!! I couldn’t stop eating this at Christmas! I think I enjoyed it even more than the Christmas cookies!